HelioJet® SpectrumCC in use on an Airbus A330. Sensors support the regulation of all LEDs, ensuring color stability for the entire operating period; even when lighting elements need to be replaced. An assortment of lighting elements. Add a consistent “look and feel”. And continuous long-term performance – SCHOTT Aviation offers the perfect solutions to meet these three criteria. At this year’s Aircraft Interiors Expo (AIX), April 4-6 in Hamburg, Germany, the international technology group’s product portfolio for aircraft cabin lighting is set to offer a unique experience (SCHOTT Hall 6, Booth 6B100). 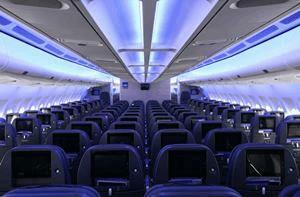 Modern lighting systems for aircraft cabins have been typically powered by LED light sources. However, what initially appears to be the big illumination solution for an industry is often not necessarily conclusive afterwards. Color deviations in LEDs are primarily at fault here due to aging and other factors. An additional challenge involves the exchange of individual lighting elements, where the older and newer ones are not identical in terms of their colors, thus creating a clashing of tones. It can lead to undesired visuality. 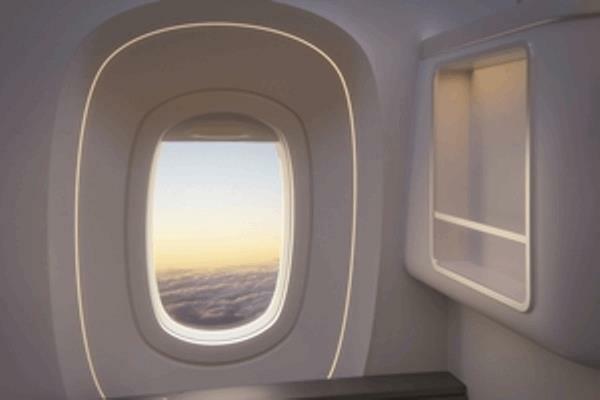 “We grappled with the aesthetic and functional considerations of an aircraft’s cabin lighting. A continuously and functionally stable system requires constant surveillance and monitoring,” explains Dr. Armin Plichta, Global Director of Sales and Marketing at SCHOTT Aviation. HelioJet® SpectrumCC is the only cabin illumination system on the market in which all of its LEDs are continuously and permanently adjusted to a defined color location. This ensures color consistency throughout the entire aircraft. Even in the event of swapping parts in the cabin lighting and the installation of new LEDs from another production charge, HelioJet® regulates all of the LEDs so that there is no recognizable difference between older and newer ones. SCHOTT’s holistic approach integrates a variety of lighting elements. Thanks to the clever deployment of fiber optics, HelioStar transforms the cabin ceiling into a glittering starry night sky. With HelioLine, SCHOTT offers new solutions which allow light to be emitted from the side through glass optical fibers. Thus, a number of possibilities are now available to achieve fascinating illumination impressions on board the aircraft. Every contour and surface becomes a potential application area for accent lighting with HelioLine. Whether it is for monument contours, toe-kick areas, flowing forms and even sharp edges, HelioLine optical fibers can bring together innovative lighting design and functionality into a single comprehensive solution. As the largest manufacturer of integrated reading illumination, the lighting experts plan to also display the latest solutions from SCHOTT Reading Light: components that are already qualified by major aircraft manufacturers which allow for customized seat illumination to be efficiently and cost-effectively implemented according to customer specifications. Thanks to its capabilities in fiber optics and LED technology, the company from Mainz, Germany has numerous innovative solutions to showcase at the upcoming trade exhibition. With HelioLine, SCHOTT offers new solutions which allow light to be emitted from the side through glass optical fibers. Thus, a number of possibilities are now available to achieve fascinating illumination impressions throughout the aircraft.